Announcing the Release of Two of My Best Selling Books via Print-On-Demand!!!!!!!! Since these books went out of print, I have received so many emails from people asking where they could purchase them. The prices for used copies were sky rocketing! Finally I have an answer!!! Whether you are adding these classics to your quilt library or a shop teaching classes from these books, they now can be ordered on line. Just click on the book or the link to order. With the simplicity and accuracy of paper piecing, you can create these elaborate-looking Star blocks in a snap! 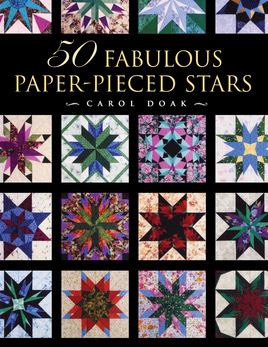 Carol Doak, bestselling author of many books on paper piecing, is back with 50 original paper-pieced Star blocks--one for each U.S. state. 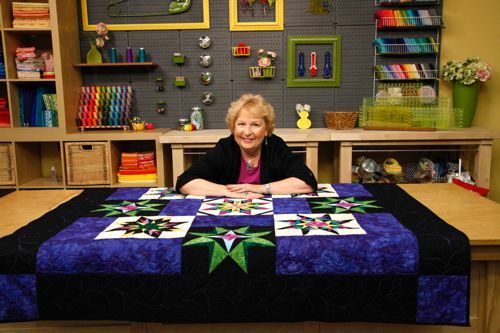 Follow Carol's expert step-by-step instructions to make 50 beautiful blocks that finish to 12"
Make a spectacular statement in your quilts with this collection of big, beautiful, bold blocks! 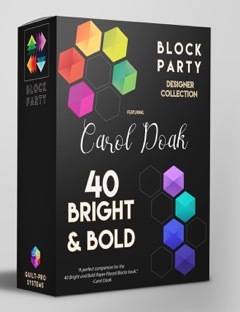 Bestselling author Carol Doak reveals her best color tricks for creating brilliant, dramatic designs-they'll inspire you to be daring with your fabric and color choices. And Now Block Party is Here to Go Along With Your Book!!! I wish I had a nickel for each time someone asked me how much fabric they would need to make a 36 block quilt using a particular block. Now there is a program that will be able to give you that answer!!! Some of you may know that Quilt Pro Systems was purchased by another company several months ago and the changes they are making are exciting. The Foundation Factory programs have been retired and they are launching a new program called Block Party. 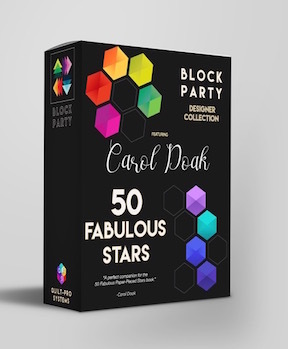 I am excited to let you know that they have just launched the 50 Fabulous Paper-Pieced Stars Block Party and the 40 Bright & Bold Paper-Pieced Blocks Block Party. I have seen the program demonstrated and it is really exciting that you can now see what an entire quilt of a block design will look like and your yardage can be estimated!!!! Just click on each box to be taken to the Quilt Pro web page to purchase and learn more about this exciting program. Announcing my second Craftsy Class: Paper-Pieced Stars Has Launched! Helpful information for loading older Foundation Factory CDs on Windows Computers. When you insert the disk in the drive, the program should attempt to launch an install wizard for the program automatically. In this case, the AutoPlay dialog box will appear. However, instead of choosing to 'run Autorun.exe' or install the program, you should choose to 'Open folder to view files'. Then locate the program's setup file, called Setup or Setup.exe. Right Click on the file and choose Run as Administrator. When it asks you if you want the program to run, choose Allow. If the AutoPlay dialog box doesn't appear but gives you an error message, click cancel to clear theerror message. Then go to the Start button, click on the Computer icon. Once in the Computer screen, you should see the CD with the program icon. Right-click on the icon and choose 'Explore' or "Open".Then locate the program's setup file, called Setup or Setup.exe. Right Click on the file and choose Run as Administrator. When it asks you if you want the program to run, choose Allow. What is New In the Free Patterns Section? Just perfect for the SPRNG months. Make a block, make a wall quilt or make a bed quilt. Quilt Shops: The Carol Doak`s Foundation Paper can be ordered from your distributor or directly from C & T Publishing at 1-800-284-1114. New Free Pattern For Teaching Paper Piecing: I am often asked if patterns from my books can be copied and distributed for the purpose of teaching a class. 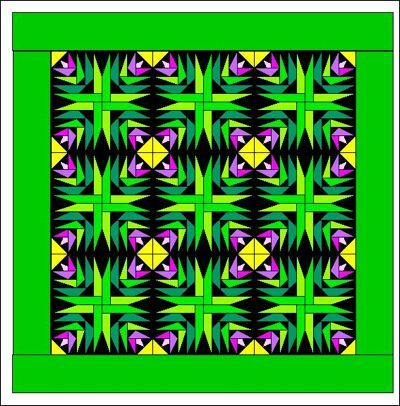 They cannot as this would violate copyright.However, I have uploaded a block pattern in the Free Patterns section that can be used for teaching others how to paper piece. Permission to reproduce the pattern is given for this purpose and is printed on the pattern.